Product prices and availability are accurate as of 2019-02-18 18:36:36 EST and are subject to change. Any price and availability information displayed on http://www.amazon.com/ at the time of purchase will apply to the purchase of this product. 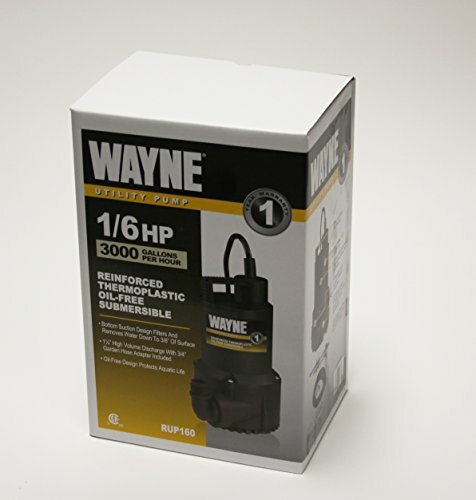 The Wayne 1/6 HP 2,000 GPH oilless submersible utility water pump pumps out up to 2000 gallons per hour with its energy efficient motor. It's designed for use in continuous duty applications, including draining flooded basements, sinks, tubs, or stock tanks, or emptying water-filled boats. The impact and corrosion-resistant housing, volute, and impeller ensures durability, and the bottom suction can get water within 1/8-inch of the surface. A 3/4-inch adjustable discharge adapter connects to garden hoses, and the 1-1/4-inch discharge port provides high-volume performance. 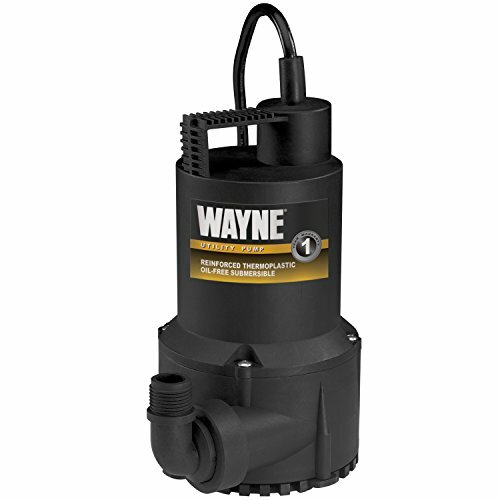 Wayne backs its pump with a one-year limited warranty.